Anyone still feeling a little Kava-nauseous? One year after #MeToo ignited a global movement, we are still shouting "believe survivors!" and fighting for women to be seen and heard. And amidst another roller coaster week filled with emotional headlines, tweets and, yes, even presidential alert texts, it's sometimes hard to stay positive and hopeful. Lisa Borders became the first ever President and C.E.O of Time's Up, which was founded earlier this year by a powerhouse group of women and has already raised more than $21 million dollars to provide legal services for survivors of assault in all industries. Borders, who was recently the president of the WNBA and the former executive V.P. of global community affairs at Coca-Cola, has long been a leader spearheading diversity and progress within her organizations. "I was being not just invited, but encouraged—implored—to step forward and be part of this transformational change for women," Borders told Vanity Fair Now she's calling on others to join the fight. "This is not a club. I would just offer the invitation to everyone, right here, right now... come join us on this journey." The Nobel Prize is one of the most prestigious awards in the world. And for much of history, it's been largely dominated by men. This year, however, women are taking home the prize. For the first time in history, the Nobel Prize in Chemistry has been awarded to an American woman: Frances Arnold, a biochemical engineer. Arnold is known for her work tweaking evolution to manipulate enzymes—which is no small feat. But she's also overcome the loss of her husband and son—all while fighting to be recognized in field dominated by men. "There are lot of brilliant women in chemistry," Arnold said. "We are going to see a steady stream, I predict, of Nobel prizes coming out of chemistry and given to women." Every year since 1901, the Nobel Prize for physics has gone to a man—with only three exceptions. In 1903, Marie Curie won for her research in radiation. In 1953, Maria Goeppert-Mayer took home the prize for her pioneering work with nuclear atoms. 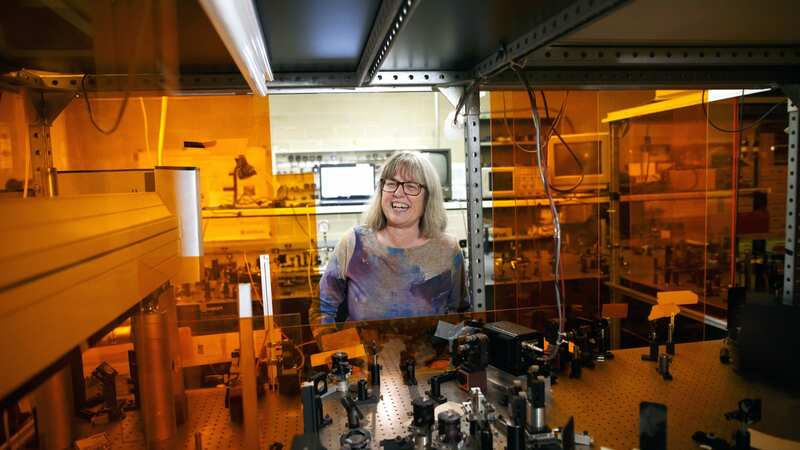 And in 2018 Professor Donna Strickland became the third woman ever to win the prestigious award for her development of laser treatment, which has restored millions of people's vision. Now the University of Waterloo professor wants to make she's not the last. "We need to celebrate women physicists because they're out there... I'm honored to be one of those women," she said. "We need to celebrate women physicists because they're out there... I'm honoured to be one of those women," says Donna Strickland. Broadcast journalist Connie Chung bravely told her #MeToo story in an open letter of support to Dr. Christine Blasey Ford. In an op-ed for the Washington Post, Chung recalls the chilling details of the assault she experienced in college by her gynecologist. If Maya Gabeira can make it through this wave, we can make it through this work week. Gabeira, 31, made history when she rode the largest wave ever surfed by a woman—68 feet to be exact. "It feels pretty crazy to be the woman that surfed the biggest wave ever. I think it's always been a dream of mine to be able to say that," said Gabeira, who was honored by Guinness World Records. Turns out women are blazing trails on the speedway, too. 17-year-old Hailee Deegan became the first woman to win a NASCAR K&N West Series race—her first time ever competing in the race. "This has to be the best day of my life right here," Deegan said. "It doesn't get any better than this." The up-and-coming star follows the footsteps of history makers in racing, like Danica Patrick. "People don't understand how many days, how many hours I've put into this. How much work I've done to get to this moment," she told NASCAR.com. And finally... the best feminist meme of the week. Who's ready to riot? For more feel good, empowering stories at your fingertips, subscribe to our newsletter here.